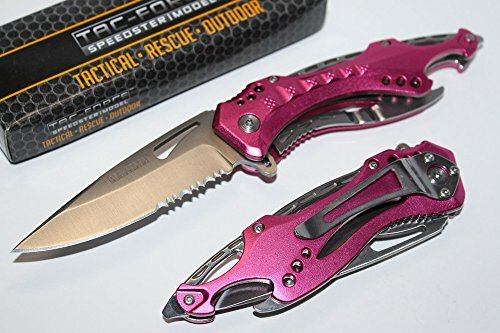 8'' TAC FORCE PINK ALUMINUM HANDLE Spring Assisted Tactical Pocket Knife - hunting knives, military surplus - survival and camping gear by TAC Force at Smart Survival Supply. MPN: devilguyz Grey SKULL CAMO. Hurry! Limited time offer. Offer valid only while supplies last.